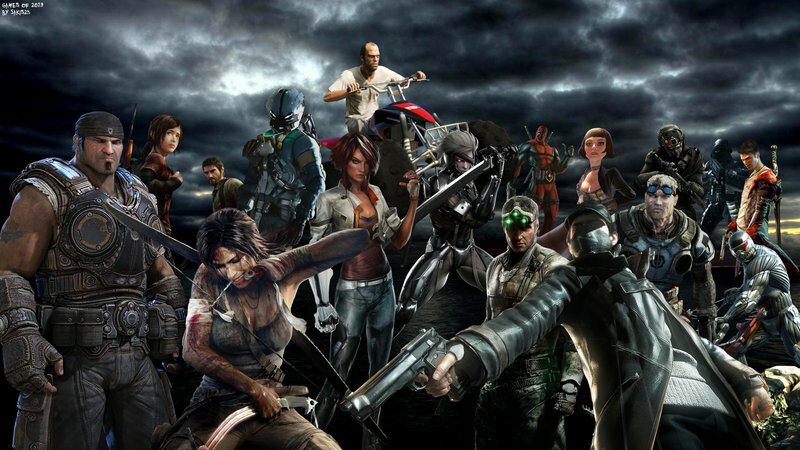 A UK online games retailer, Simply Games has been operating for more than 15 years—one of the oldest online games sellers in the UK. 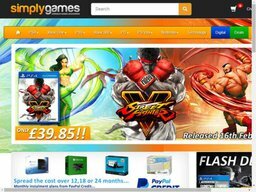 On the Simply Games website you can find what you want for your PC or console, whether it is a PlayStation 4, Xbox One, PS3 or Xbox 360, because Simply Games carries such a large range of games, including all Nintendo brands.You can buy games on discounted price by using Simply Games discount code. They also sell a large range of hardware and accessories. More importantly, they place a high priority on keeping as many items as possible in stock so you can get what you want quickly—even the items offered at great discounts. Great selection, quick delivery and excellent customer service—that is what Simply Games gives you! Simply Games has a super easy website to navigate, helping you to find what you want. And their great prices and discounts mean that you will likely stumble on some great deals. But why take a chance on finding the best bargains? Smart shoppers can make finding Simply Games voucher codes easy by checking out the deals on BargainFox. Customer service is a priority for Simply Games, and more than 98% of their orders are shipped the day the order is made. That is fast! You can also access independent Simply Games reviews from any page of their website so you can see what other customers have to say about the great service at Simply Games. Part of great customer service means being easy to reach. If you have any questions or need any kind of assistance, you can ring them from 9am to 5pm Monday – Friday (excluding bank holidays) or email them on their website or Facebook page, where they typically reply within an hour. Simply Games’ products are priced extremely competitively, even without any discount. And when they apply their amazing discounts to any of their products, you can save so much more. Not only that, Simply Games saves you even more by shipping to you at no cost: They deliver any software free within the UK Mainland. Simply Games carries such a large range that you might wonder how you can find what you are looking for. Well, you can: simply! The Simply Games website is designed so that finding what you want is easy, and buying it even easier with their super-simple checkout process. Great graphics also help you to find the right areas to browse in if you are unsure about what you want to buy. Simply Games has won the prestigious MCV "Best Independent Games Retailer Online” award two years in a row: 2013 and 2014. Simply Games is clearly well-respected by the industry as well as by their pleased customers (see Simply Games reviews on their website or Facebook page). Simply Games makes it so easy to take advantage of their great discounts. All you need to do is to choose whichever discounted item(s) you want from BargainFox and you will be taken to the right place on the Simply Games site to buy. You will not need to enter a specific code or number at checkout. Just be sure to act fast, as the deals are all limited so be sure to grab the item you want while it is offered at a great price. If you place your order with Simply Games on a working day (Monday – Friday) before 3.30pm, it will be sent to you on the same day as long as all the items on your order items ate in stock (and they usually are). Orders are sent via Royal Mail 1st Class Post and typically arrive within 1 – 3 working days. There is no charge for delivery of any software in the Mainland UK. If you change your mind, you can return any consoles, accessories or games to Simply Games within 8 days after you receive them as long as they are unopened. In the unlikely event that an item is received damaged, please contact Simply Games within 24 hours of receiving it. Any items you return to Simply Games will be refunded minus the shipping charges, which are £5.95 (courier/EXPRESS). Refunds are made by Simply Games within 48 hours, so the funds will appear back in your account within 3 – 5 working days. Remember to use Simply Games discount code while purchasing games, hardware and accessories.